This CLE program provides guidance on common deficiencies noted during FINRA examinations of medium and large firms.. Industry practitioners discuss taking proactive compliance measures and corrective action in response to examination deficiencies and recommendations. Senior FINRA staff discuss the exam process from their perspective and provide examples of best practices. Understand the FINRA examination process and effective practices to facilitate the examination. Discuss common exam deficiencies cited during examinations of medium and large firms. Understand different approaches used by firms in responding to exam deficiencies and recommendations. Learn proactive techniques for strengthening your firm’s compliance program. Michael Solomon joined FINRA in December 2011 as Senior Vice President and is the Senior Regional Director of FINRA's New York, Philadelphia, Boston and Woodbridge-NJ District Offices. Mr. Solomon has responsibility for the Examination and Surveillance Programs in the region. Prior to his tenure at FINRA, he served as a managing director and general counsel for litigation, regulatory and employment law at Jefferies & Co. Prior to joining Jefferies, Mr. Solomon managed the Regulatory Group at UBS Financial Services from 2004 to 2006. Before that, he managed the Regulatory Examinations and Inquiries Group at Merrill Lynch from 1999 to 2004, and has also served as an associate at Morgan, Lewis & Bockius, trial counsel in the NYSE Enforcement Division and NY County assistant district attorney. Mr. Solomon received his law degree in 1989 from New York University School of Law and received a bachelor’s degree from Wesleyan University. 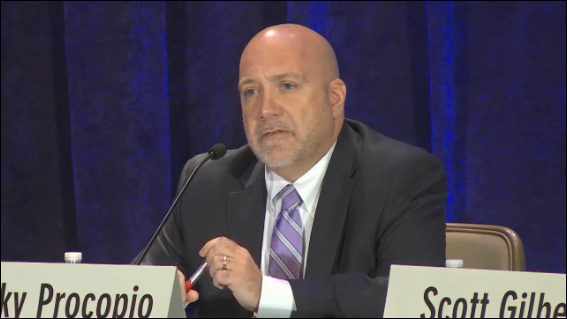 Scott M. Gilbert is a Senior Examination Director with FINRA with responsibility for the New York District’s large firm sales practice examination program and the District’s cause examination program. From 2004 through 2013, Mr. Gilbert was employed at UBS Financial Services Inc. in various roles including Executive Director and Head of Compliance for the Wealth Management Advisor Group of UBS, with responsibility for compliance matters and policies relating to the broker-dealer’s financial advisors. From 2006 through 2010, he was Senior Associate General Counsel and head of the group responsible for internal investigations and disciplinary recommendations at UBS. In that role, he advised the firm's management in all aspects of issues related to employee compliance with firm policies and industry rules, regulations and laws. From 2000 to 2004, Mr. Gilbert was Vice President and Senior Counsel with Merrill Lynch & Co., where he was responsible for global regulatory matters and internal investigations. Before that, he was a trial counsel with the Division of Enforcement of the New York Stock Exchange, responsible for enforcing the rules of that self-regulatory organization, investigating customer complaints and prosecuting disciplinary actions. He also was previously a litigation attorney in private practice, with a focus on complex commercial litigation and securities class actions. Mr. Gilbert is a graduate of Columbia University and New York University School of Law. Rocky Procopio is Executive Director with 20 years of financial industry experience. He is currently the head of Morgan Stanley Wealth Management’s Field Compliance Department. In this capacity, he oversees Regional Compliance Officer Department, WM Employee Trading, International Wealth Management Compliance and the Registration Department. Prior to the Morgan Stanley/Smith Barney joint venture, Mr. Procopio was responsible for the Surveillance and Training functions at Smith Barney. Prior to Smith Barney’s acquisition of Legg Mason Wood Walker (LMWW), he was a senior compliance officer with LMWW responsible for the Mid-Atlantic Region as well as product compliance for the firm. Mr. Procopio currently holds the Series 7, 9, 10, 14, 24, 4, and 53.